Looking to invest in Canberra? Like all astute investors you know the next important step in choosing the right agent. 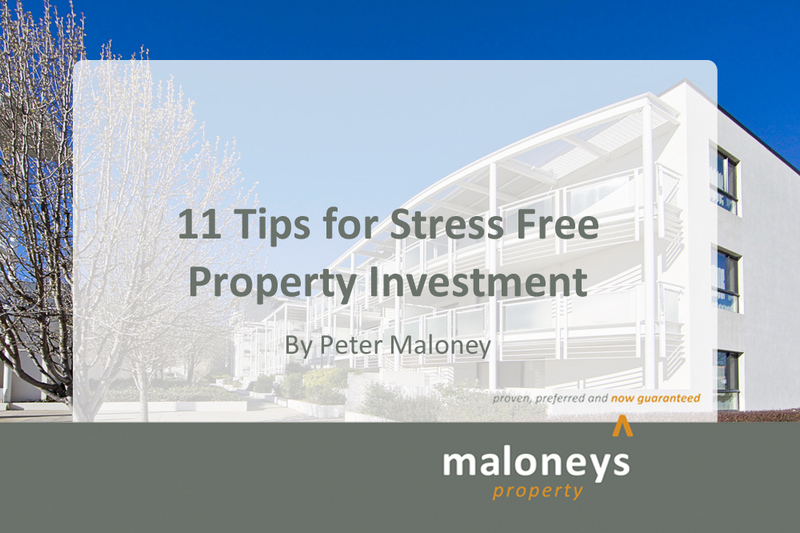 Here are my 11 tips for a stress free property investment. Have 2 months mortgage payments in an offset account, just in case there is an unexpected expense; a tenant is a couple of days late in the rent or if the property becomes vacant. It’s good to have a buffer. Have a professional quantity surveyor do your depreciation schedule to ensure that you are maximising your legitimate tax deductions on your property investment. Make sure it is working for you. Have landlords insurance which covers owner’s contents which are not covered by building insurance, such as carpets and window furnishings. It also covers loss of rent, malicious and accidental damage by tenants, plus public liability. Policies vary but are generally between $300 to $500 a year which is good value and great peace of mind. I think interest only loans leave your exposed should the market stagnate or go backwards always look at 25 year principal and interest investment loans. Deciding which property manager looks after your property is as important as choosing the right property. Saving a few dollars a week by picking a cheap agent is often a very bad decision. Always ask 3 for proposals and ask for referees. Staying on top of maintenance pays big dividends, it enhances your capital value, the property attracts better quality tenants and often maximises the rent. Stay away from the property and don’t get involved with the tenant. Your property manager is paid to be the shock absorber. Tenants will always try it on if they know the owner. Unless the vacancy rate is less than 2% set your rent at 95% of the market rent, this measure alone reduces vacancy, gives you a wider range of tenants to choose from and they are more inclined to stay. Owning an investment property is a business decision. Renting to family and friends often results in heart ache for the property investor. Believe me we know from experience. Once the equity has built up look at buying your next investment property.